Let me introduce you to my newest addiction: Chalupas. It was about 5pm, I haven't had my merienda yet and was getting hungry. I decided to order one of their Beef Chalupas. It only cost P80 - out of a food stall - so I wasn't expecting it to be anything great. Good, yes maybe, but life changing? No. Ha! I smiled after the first bite. Daaaaamn, it was the most delicious thing I've ever bought for P80 and quite big too. 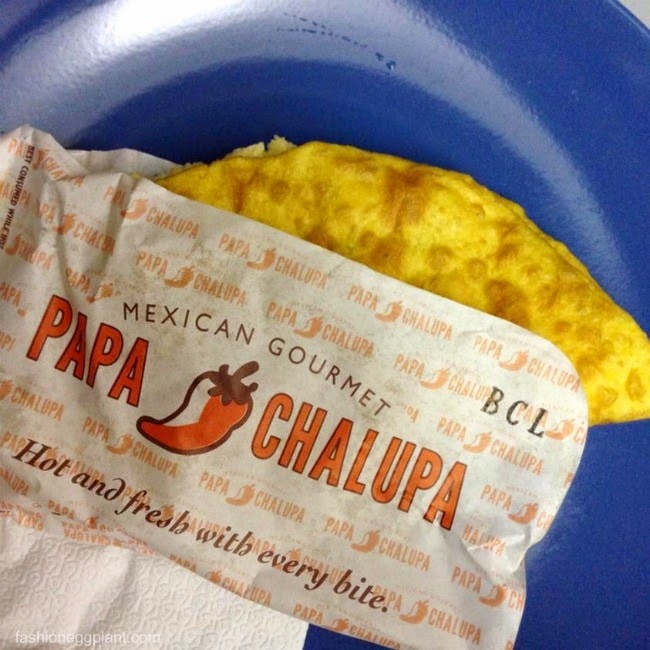 Chalupa means boat in Mexico and the crunchy deep-fried masa dough is rolled and fried fresh with every order. Super good, seriously. I would pay 3 times the price just to have it but the awesomeness lies in its meager price tag. It's extremely rare to get value for money food under P100 nowadays but this is certainly an exception. It's filled generously with ground beef, grated cheese and other fixings. It feels like you're getting more than your money's worth. Plus, their homemade hot sauce is equally noteworthy. Some tips: Eat it fresh it tastes 10x better. I tried to take home a couple of orders and had them without reheating, although still good, the shell won't be as crunchy anymore. If you must take home, maybe try reheating in an oven toaster instead to revive some of the crunch. Not sure where all their branches are located but I've seen one in the food court of Robinsons Galleria, SM Megamall and the one I go to in SM Hypermart.